Cpl. William J. Bruner, son of Mr. and Mrs. O. A. Bruner, graduated from Frederick High School. Entered the Army in Jan. 1943, trained in Camp Swift, Texas, Barnstaple, Eng. 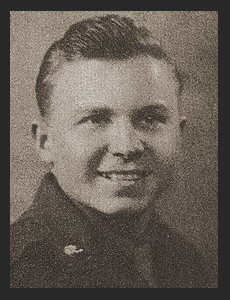 ; served in England, France, Belgium, Luxembourg, Germany, Czechoslovakia, Austria; was discharged in Oct. 1945. Awarded ETO Ribbon with Five Battle Stars, Arrowhead, Pres. Unit Citation, Good Conduct Medal.